You can create professional-looking graphics with no experience or training. The interface is extremely easy to use: everything is intuitive and simple. It has drag-and-drop functionality that lets you resize and move elements without redesigning the whole image. Canva has some of the same functionality of Adobe InDesign and Photoshop, except that it doesn’t bother you with the technicalities of graphic design, pixels, and layers. Everything just works they way you expect it to! It is obviously nowhere near as advanced or capable as an Adobe program, but it absolutely fulfills the need for simplified design software. Even seasoned designers will appreciate the surprising power found in this beautiful, simple interface. There are endless project options! Canva offers pre-made templates for many projects of interest to bloggers: photo collages, Facebook covers, social media icons, and blog graphics, as well as business cards, invitations, presentations, documents, posters, and cards. You can also type in custom dimensions for a different idea. 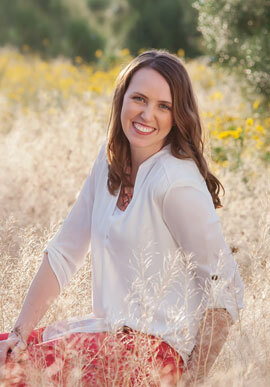 There are tons of styles and designs available for profile images, gravatars, info graphics, and pinnable images. You can change the color, size, and font of almost every element! There are also blank templates available, usually at the bottom of a search, that you can drop you own content into. If you are familiar with PicMonkey for editing pictures, Canva has a similar concept but with a larger scope. 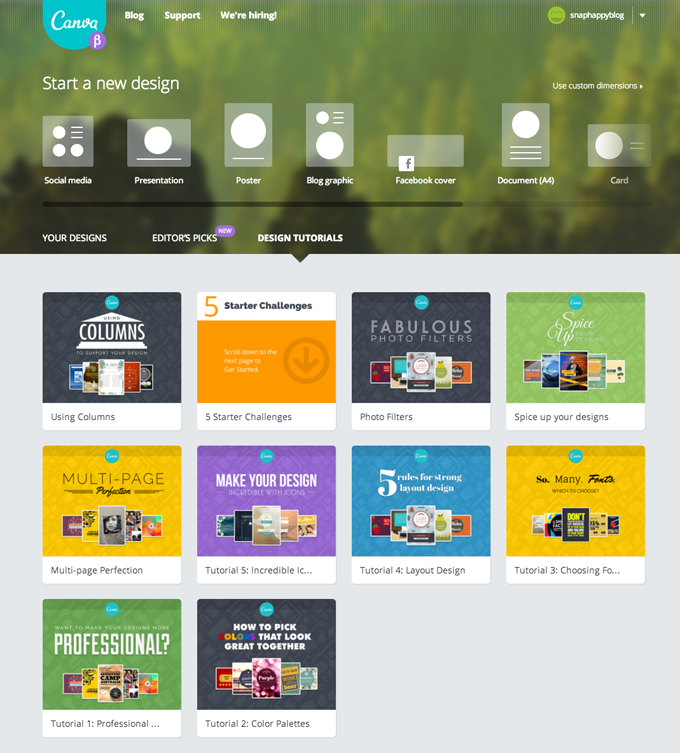 Canva is based on designing graphic products as opposed to editing individual photos. Each program has its own uses, but Canva has a much larger library of backgrounds, text boxes, and banners you can use to design many kinds of images. It is free to design in the Canva interface, and to publish with their free images. They have a great selection of editable backgrounds, icons, banners, frames, and fonts. You can also upload images from your own computer, like your logo or other graphics you’ve already purchased. …but premium elements are available and incredibly convenient. Have you ever been frustrated with online stock photography, because you don’t really know if a certain image will suit your purposes? No one wants to buy rights to an image and then change directions and not need it anymore! Canva offers a premium stock photography/vector database to enhance your designs. The beauty of the Canva model is that you get the chance to design with the element before you have to commit to using it. 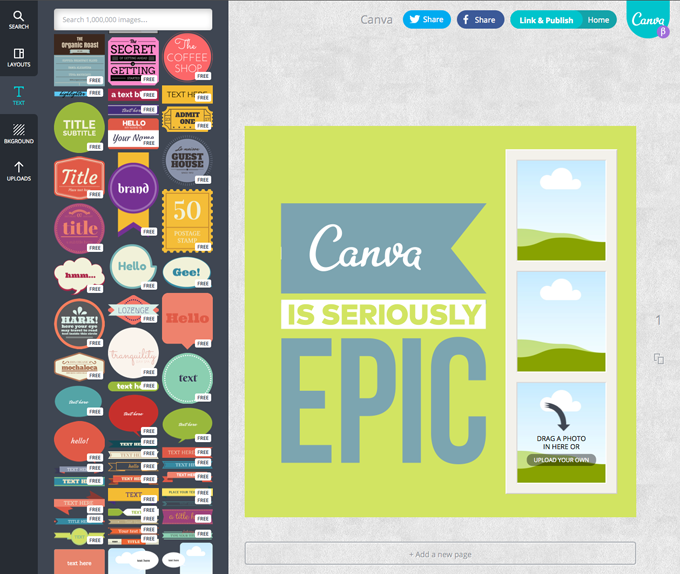 Canva lets you experiment with paid backgrounds, stock photos, and vector icons before you actually have to buy them. They appear with a watermark in your project until you publish the project, and then each premium element is $1.00. You only buy when you’re ready to export and publish the file. It’s super easy to get started on Canva. Just go to canva.com, enter your email and a password, then click a link in your inbox to confirm. You’re in! Once you’re logged in, you can start a new design by clicking any of the blank project templates at the top, or create custom project dimensions. There are tabs underneath that header to see your other designs, visit some inspiration, or learn from additional tutorials. Once you click a template for a project, you are in the design interface. The majority of your screen is for the active design, with tabs on the far left for image search, layout, text, background, and uploading. Click on any element from that left sidebar and drag it to your project. If you’re using a layout template, the cartoony sky & grass image indicates a drop zone where you can drag and drop a photo. Everything is searchable, including images, icons, shapes, and even colors. Your project is saved as you go, so there’s no need to worry about losing anything. When you’re done with a project, just click the Link & Publish button at the top right. Publish the file as an image or pdf, then save to your computer. You can also link to the file, which opens up the option for collaborating on projects that are stored online and have several people contributing. Technically, Canva is still in beta-form, so they are actively tweaking the software and fixing glitches. It’s not likely you will see any problems on your finished file, but check anyway just to make sure that file is perfect! Try out Canva today: it’s an incredible free tool that offers simple graphic design for bloggers! What cool tip! I recently started up a blog with my sister in law and so this is incredibly helpful! I’ve also been looking at your blog with my other blogger account, briceandleilani.blogspot.com, and I really love all the work you do over here! Your tips are so easy and so helpful! So thanks again! Ah! I love it! I have been using picmonkey but I’ve gotten tired of their free stuff. 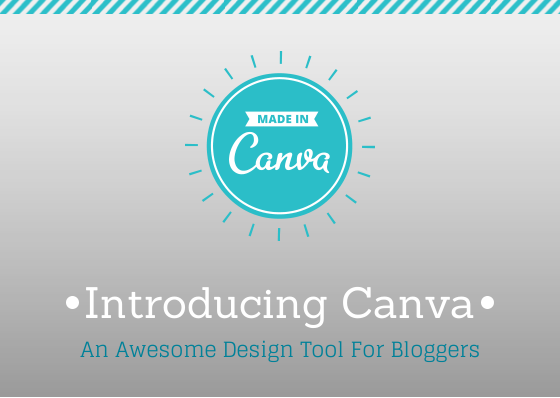 Canva has so many awesome options! I love that you can save your work to edit again later. Thanks for the awesome review, Meg! Really glad to hear you’re enjoying Canva. Shout out if we can ever help with anything.